Swords is celebrating today after learning it has achieved the prestigious Purple Flag status for its evening and night-time economy. 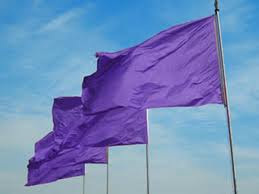 Purple Flag is a town and city centre award – similar to the Blue Flag for beaches – which aims to raise the standard and broaden the appeal of town and city centres between the hours of 18:00 and 05:00. Towns awarded the Purple Flag are recognised for providing a vibrant mix of entertainment while promoting the safety and well being of visitors and local residents. Since 2007, 65 towns and cities in Ireland and the UK have achieved Purple Flag status. Purple Flag accredited towns have all reported a consistent increase in footfall and a decrease in crime within the evening and night-time economy. The Swords Purple Flag Working Group is delighted with the award and in particular has welcomed the assessment of Swords town as meeting the required standards under each of the headings that are used by the assessors. Under Wellbeing, Swords has been assessed as welcoming, clean and safe. Under Movement, Swords demonstrated a secure pattern of arrival, circulation and departure. In the area of Broad Appeal, Swords was able to show that it is a town that is a vibrant choice and has a rich mix of appeal to customers visiting at night. Under the category of Place, Swords demonstrated that it is a stimulating destination and a vital place. The assessors also reported that Swords’ greatest asset is clearly its location and increasing population and that the development of the ‘cultural quarter’ is welcome and an exciting prospect for the town. The Wright Venue, Ireland’s largest entertainment venue clearly impressed the assessors who reported that it is an example of ‘best in class’. The assessors said that from the very visible customer care, health and safety policies, comprehensive standard operating procedures and immediate updating of information via a bespoke mobile app, the senior staff and team leaders in this venue were most impressive. Tony Lambert of the Dublin Fingal Chamber said “We are delighted that all the hard work that took place to make the application for the Purple Flag has paid off. Swords is a great town to visit and we hope that Swords follows in the steps of other towns and will soon report an increase in footfall and a decrease in crime. Toni Hogan, Purple Flag Co-Ordinator from Fingal County Council said “Collaboration is the keystone of the Purple Flag process and all the partners in this initiative worked extremely hard to achieve Purple Flag status”. 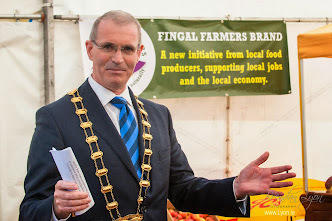 Paul Reid, Chief Executive of Fingal County Council has also praised the Working Group for this achievement. “Everyone has played their part in achieving the Purple Flag for Swords including the businesses, the local media, the Chamber, and the elected members and staff of Fingal County Council”, he said. Chairman of the Fingal Joint Policing Committee Councillor Kieran Dennison has welcomed the award of the prestigious Purple Flag for Swords. "As one of the few areas in Ireland to be awarded a Purple Flag this really puts Swords out there as a safe and enjoyable place for an evening out. When I met the Purple Flag assessors they were clearly impressed with what Swords had to offer and I want to thank the local businesses, Gardai and the council for the work and commitment in winning this for Swords." Swords will officially receive the Purple Flag accreditation along with and five towns who have had their status renewed at an awards ceremony on the 3rd November in Guildford, Surrey.